The Christian community of faith in New Haven, Connecticut mourns the loss of Clementina Valentina, 85, Third Order Laity of the Order of Preachers. Our friend and fellow companion has been called home by the Lord. The Mass of Christian Burial was celebrated today at The Church of Saint Mary (New Haven, CT) by Father Albino Barrerra, OP and concelebrated by several Dominican friars and a secular priest, the Rev’d Father Donald A. Guglielmi. The Dominican laity were present as well as several Knights of Columbus. As a fitting tribute to such a beautiful woman was the presence of about 100 people gathered in prayer for the Clem. Clem’s life only makes sense for many of us, as Father Albino said, through the lens of faith. In theological terms, in Clem’s life there was a hermeneutic of faith and continuity formed in the heart of the Church. Like the many narratives in the gospels where faith in Jesus led to conversion, healing and new life, Clem’s life of faith first given to her by her parents at Baptism sustained not only her but also her friends and acquaintances. God gives us the friends we need in order to know Him. In fact, the three gifts of Clem given to us these many years and that have built up the Kingdom of God on earth, I am convinced, were Clem’s capacity for loyal friendship, her deep and abiding faith in and witness to Jesus Christ through the Church and profession in the Third Order of the Dominicans (the Dominican laity) and her quiet, unassuming way of doing things in love. I will miss her warm embrace, her stellar proclamation of the Scriptures at Mass and her good example. May the Mantle of Our Lady of Grace wrap Clem today and for eternity. Saint Dominic and Saint Catherine of Siena, pray for us. 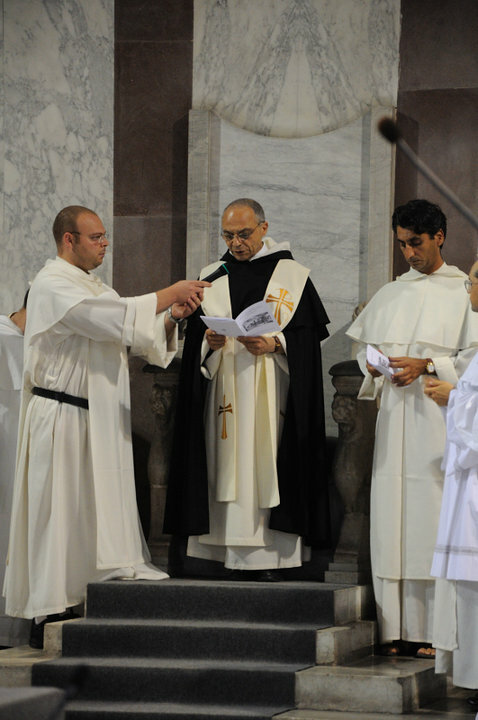 The 2010 Dominican General Chapter opened on August 31st (and will close on September 21st) and the 130 capitulars elected Father Bruno Cadoré, 55, as the 86th successor of Saint Dominic; he immediately succeeds Father Carlos Aspiroz Costa who has served for the last 9 years. Father Bruno, until now, has been the Prior Provincial of the French Province and trained as a pediatrics physician with an interest in child hematology and in bio-ethics. He’s also lived and worked in Haiti. Father Bruno will live at the Convent of Santa Sabina on the Aventine Hill in Rome. 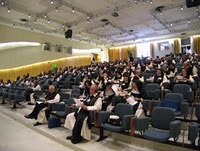 The Dominican General Chapter meets every three years and elects a new Master of the Order every nine. This is the 290th General Chapter. UPDATE: Father Master Bruno Cadore gave an insightful interview on H2O News and says some important things about the Word of God and how it shapes our lives, about the necessity and joy of the fraternal life and the unity we are called to live as brothers and sisters. Watch the video here. Blessed Jordan of Saxony, pray for us. Saint Raymond of Penyafort, pray for us. Blessed Pier Giorgio Frassati, pray for us. Prayers are requested for the members of the General Chapters of the Cistercian monks and the Dominican Friars who begin their meetings today in Rome. 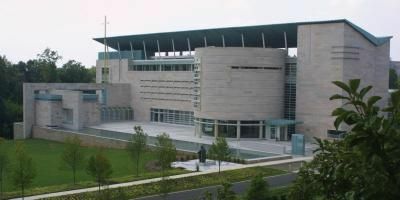 In the coming days both Chapters will deal the Order’s business and hold an election for new leadership: the Cistercians will elect a new Father General and the Dominicans a Master General. You can follow the Cistercians here and here. You can follow the Dominicans here. Saints Robert, Alberic, Stephen and Dominic, pray for us.